The advanced technology playing a vital role in students’ lives, by providing online platforms, eBooks and using the internet can interact with professionals and can obtain useful information from the organization’s websites. Students can enroll for exams, and can even get a job by performing interview through the internet. One of the trending technologies such as mobile app influencing students to utilize for the personal and professional purpose to understand lessons from app resources and to solve real problems. The advanced technology such as mobility, Artificial Intelligence, Blockchain and Cloud technology playing an immense role in education and striving to provide better learning methods. 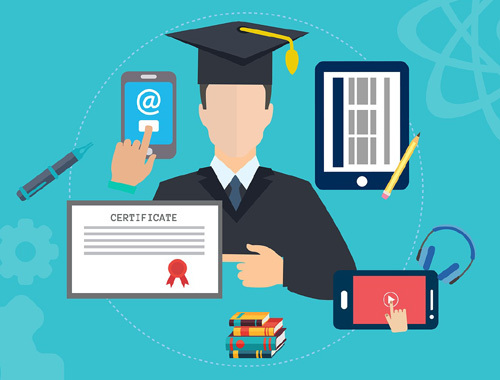 The technologies, helping students to win carrier, they benefit by getting a personalized experience with self-learning’s, and educators can focus on each and every individual student and the entire system can become more effective with these interfaces. We can customize the complete system to provide the best education for each individual and can bring stress, fewer education activities are possible with the Modern Technology methods. Every mobile app development becomes extremely famous for students that many apps like byju’s have brought many transformations in the student’s carriers and with the help of smartphone students can get access data directly. Nowadays, mobile apps have become an important element of business and customers, many online institutions and organizations implementing mobile apps for their students for admission, fee payments, download certifications, and can find relevant information about institutions. The mobile apps have brought significant change in the education industry, led to implementing advanced learning methods to make students understand easily and effectively. There are books and quizzes available on a mobile app that encourage the learners in an innovative manner and help them learn everything from various resources. There are billions of apps are available in the app store, but picking the right mobile apps for students can transform the way of learning methods. The mobile app development companies have been building educational apps with creative to enhance the students’ perspective. This education mobile app helps students train visible methods with dynamic animations, attractive pages make students engage in apps. What is Mobile App? How does it help? The Mobile app development is a process, which implemented and developed a program or software to operate on mobile devices such as Android, iOS and Windows, etc. Generally, mobile applications installed from App stores on their smartphones. At present, there are millions of apps available in the marketplace; this app are managed by mobile app owner through the admin panel. Many apps can download free from the store which contains Ads and some apps are paid came with its profit has a spat. Mobile apps help many businesses to reach more customers in the field of the competitive world. At present, mobile apps become more important for every business because of more smartphone usage by users. Mobile apps intended to develop for productivity and automation assistance such as to send push notifications, reminders, and calendar and create community and later its expansion has taken place in all industries such as games, manufacturing, etc. Companies can develop a mobile app for their business operations to make available all the time for users. The users can utilize mobile apps to track location, order products, and services with the help of internet. How Education apps will benefit Students? 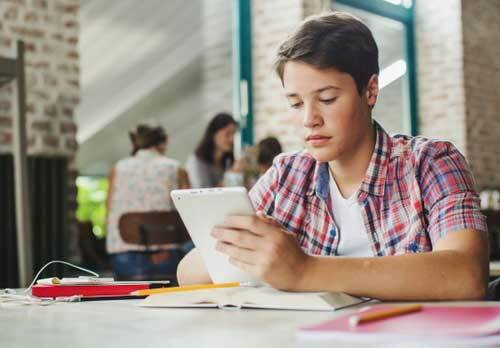 Educational mobile apps came with benefits for students, as it saves a lot of money for buying study material from shops and libraries, These Educational mobile apps allow the user to read the study material from a smartphone with simple clicks and can locate various study materials with more research. In the traditional education system, it is very difficult to inspect that every student is engaging in learning. Mobile app helps students in this regards that provides various material resources from the storage and even can interact with app pleasantly. The power of the digital education system is tremendous growth of devices that filled with books and notes. The wealth of this platform connects its reputation among education seekers. The ability of this platform delivers it a preference to students who cannot allow the excess of full-time education in schools or colleges. With the help of mobile apps students and parents, get access to study material online, which helps to change the education system the way students can learn anytime and anywhere. Mobile apps are always available for students can learn at a convenient time zone. Mobile apps not only meant for learning, but also used to stay the latest updates from campus occasions, exam timetables, and job notifications and some other latest information regarding education. These Education mobile apps help students to receive instant updates on their smartphones. The personalized experience in education is one of the best advantages when comes to Artificial Intelligence in an education system, as it contains advanced elements like neural networks, natural language processing, and machine learning helps to improve self-learning experience. It helps to track each individual student performance and can be managed a large set of data and insights effectively controlled by regular schools. It has the ability to locate the prefer the content of the relevant course in the application based on the behavior. Here, Artificial Intelligence can really see into that individual and place if some ideas taken from the program or not. This, eventually, can support teachers to obtain possible better informative elements or use improved designs of learning so that learners can improve in those fields. However, through the application of AI, pupils would sense more at expertise when it evolves to building errors that are necessary for them in class to learn great. 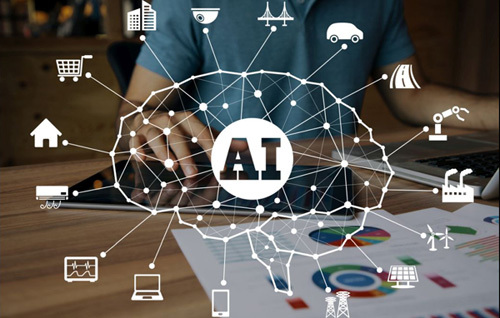 Moreover, within the application of Artificial Intelligence, students would also receive the constant reminders that they need in order to develop. Blockchain technology is now moving beyond the division of investment in other enterprises, including education, where knowledge is important. Blockchain technology has now started to perform an important role in the Education sector and it is affecting and remodeling many of our present activities. The Blockchain is highly secured and can make multiple transactions without the involvement of mediators. The education sector consists of several divisions that are applied in various areas. Based on the report of a survey conducted in various schools, the report proves that the connection of the “Blockchain” with education is in a starting condition while allowing a series of proposals to support the growth of this technology. The Blockchain is one of the secure technologies, but already businesses are experiencing its benefits. Education is a multifaceted sector where different systems need to adjust to serve students for the careers of the future. This will eventually give users the best chance of managing their education route and a prosperous expectation career. IoT is one of advanced technology that connected with things to transform information or data, in the workplace or education place. It is a multiple function technology helps to perform progressively becoming a great platform for the education industry. IoT(Internet of Things) is developing every business, and the training and education areas fall well within the range of this innovative technology. The increase of combined devices joined with enhanced, cost-effective technology programs and confirmation of common models has only developed the accelerated increase of IoT-enabled utilization and capacities in the training enterprise. Teachers constantly look to locate various methods to train their students that create interest to learn more and allow to engage more with projects, relevant group discussions, and training methods. Similarly, many systems widely utilized modern versions of education ways like the conventional whiteboard. Education is clear that the business needs endless revisions. IoT provides the possibility to modify the learning method from tedious to interest. From the above points, it is clear that mobile apps are important for education and raising the progress in the era of developments. We can accurately state that mobile app learning has shifted an essential component of learning and education in greater training, other phases of obtaining information Modern technologies such as Mobile apps are in evaluation for all the industries, and it has reached tremendous speed in creating better opportunities and gaining popularity. The spread of this technology includes the Education sector also and helping online institutions. Fusion Informatics is one of the leading Mobile App Development Companies in Dubai building apps for education sectors. If you are looking to develop Best mobile apps for your education institutes, we are happy to help you in receiving the best mobile apps for your business. We have valid experience in developing creative and user-friendly apps for Artificial Intelligence, Blockchain and Internet of Things in the Education. Hire our App development company that allows your business to get more sales and productivity.